WMW heatshield. The best way to make your turbo work better is keep the heat in it, and away from the cold side of the turbo. Turbo wraps have been used on turbo race cars and other brands for the last 30yrs to improve turbo efficiency and under hood heat. This WMW heatshield is a full custom wrap that wraps the hot side of the turbo. Made from space age materials like silica and ceramics to withstand temps up to 1800 degrees. 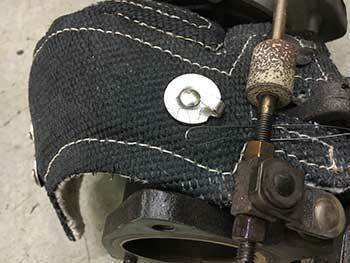 The WMW Turbo Wrap Heatshield installs in minimal time and made to be used with your stock heat shield to help the turbo be more efficient and cool down more quickly after the car has been powered off. Keeping the stock heat shield keeps the stock look under the hood, and can avoid dealer warranty hassles. 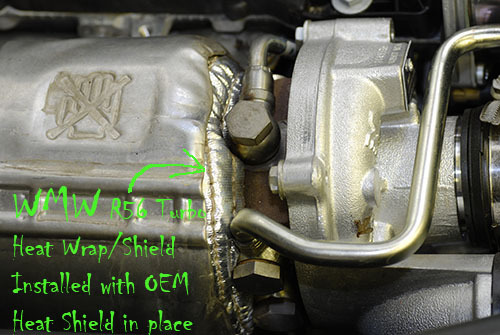 This WMW Turbo Heatshield will also reduce the warping of the hood scoops which is all to normal. I installed this a while back and have seen a lot of discussion of its value. I used an infrared pyrometer and measure the temps on the hood scoop and on the oem heat sheild before and after installing the Way wrap. I would go for a vigorous drive and then record the temps every 15 minutes for 2 hours after. I saw a 25 degree drop in the peak temp at the hood scoop and a 20 degree drop of the peak temp at the heat shield. It is also interesting to note that the peak temps at the hood scoop occurred at different times. With the heat wrap the peak temp occurred 15 minutes after shut off, without it the peak temp was 25 degrees higher and occurred 15 minutes later. 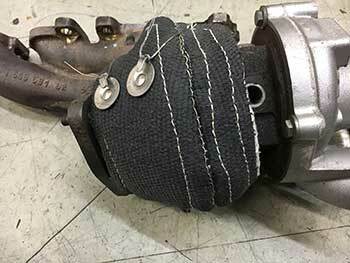 I work on large industrial diesel engines, they all have an insulating blanket (lagging) on the hot side of the turbocharger, for improved efficiency. 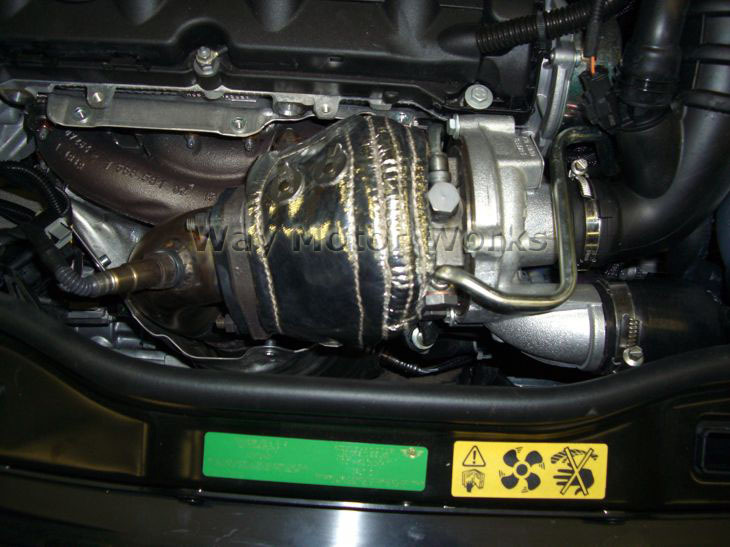 Expect some smoke when the turbo gets up to temperature, lagging always smokes when new. The installation is pretty straight forward, but the clearance between the factory turbo shroud and the radiator is pretty tight. The shroud is easily removed, but have someone around with small hands, when you are ready to put it back together, those front bolts are a bear to get started!